For Janis Hall, real estate is more than a job – it’s an obsession. Since 2004, Janis has enjoyed helping people achieve their dreams, whether buying a place to call home, or selling one in order to move on to the next adventure. Her real estate career began in the dynamic Orlando, FL market during the real estate frenzy that saw 3% appreciation per month and immediate multiple offers on almost every property listed for sale. Through this intense introduction to real estate, Janis uncovered a natural aptitude for customer service and a passion for marketing with integrity. In 2007 Janis embarked on an adventure that led her to western North Carolina. The mountains were welcoming, and so were the people. After a lifelong wanderlust, Janis finally knew she had found what she was looking for in Asheville – a home among a creative and diverse population, inspired by each other and the exquisite nature of the Blue Ridge Mountains. Through close friendships with lifelong residents, as well as positions in local real estate marketing and property management, Janis was immersed in the culture and landscape of western NC. She quickly made it her goal to become an expert on the city she loves. 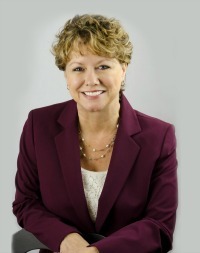 In 2015, Janis earned the designation, “Seller Representative Specialist”, based on extensive experience and specialized education in pricing and marketing residential properties. While Janis loves helping buyers find their dream homes, she also excels at creating marketing strategies that work. Many of her home sellers started as buyers relocating to the Asheville area, repeat customers whom she is now honored to call friends. It’s been said that a successful sales person has to believe in what they sell. Janis Hall sells what she loves – not just houses and land, but homes, dreams, adventures, and a gratifying lifestyle amid natural splendor and the benevolent culture of Asheville.